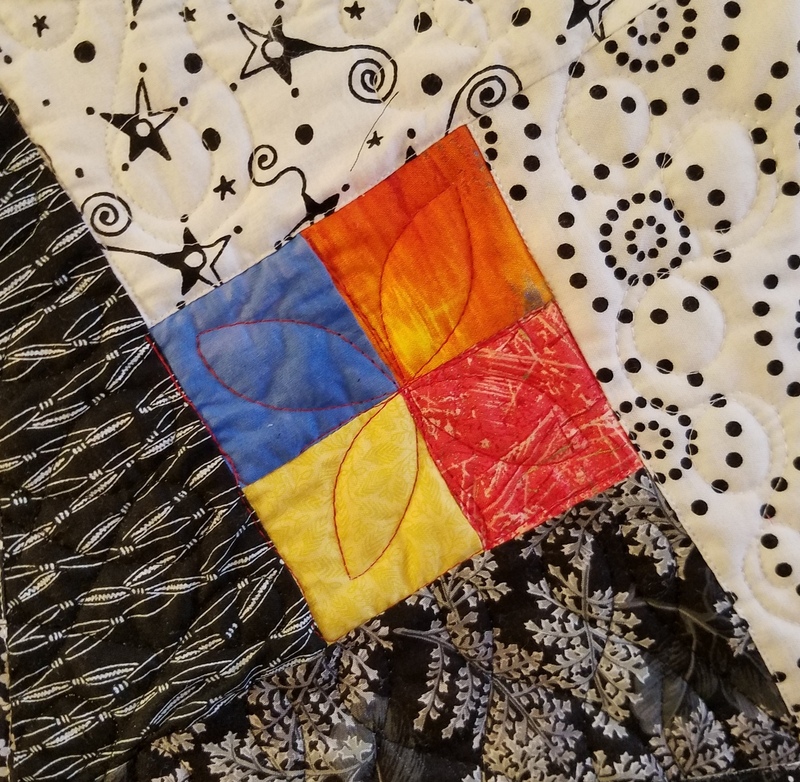 The day we did all the dyeing, we basted five of my remaining quilts from this summer. 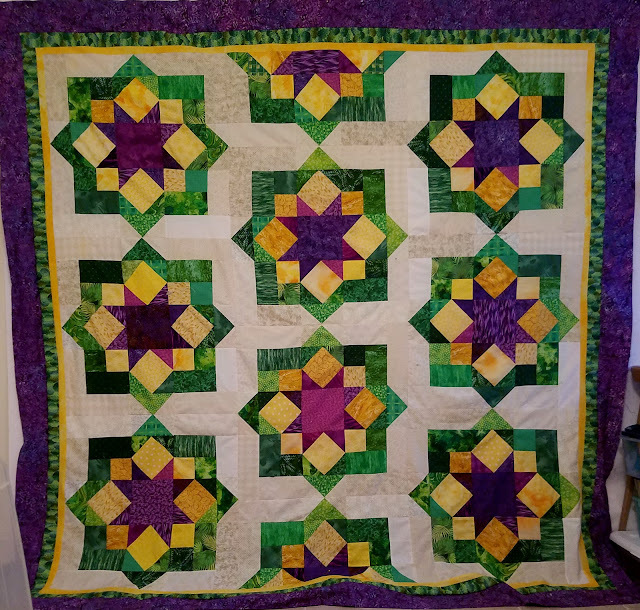 I wanted to get this one quilted quickly because it is a Christmas gift. I finally got the quilting done today, the binding is on and almost all sewn down. I did quite a bit of quilting on this quilt which is very hard to see unless your nose is 4 inches away. This is the block unit, which you can see is pretty simple. I did loopy quilting in all the background fabrics, white on the white and black on the black. 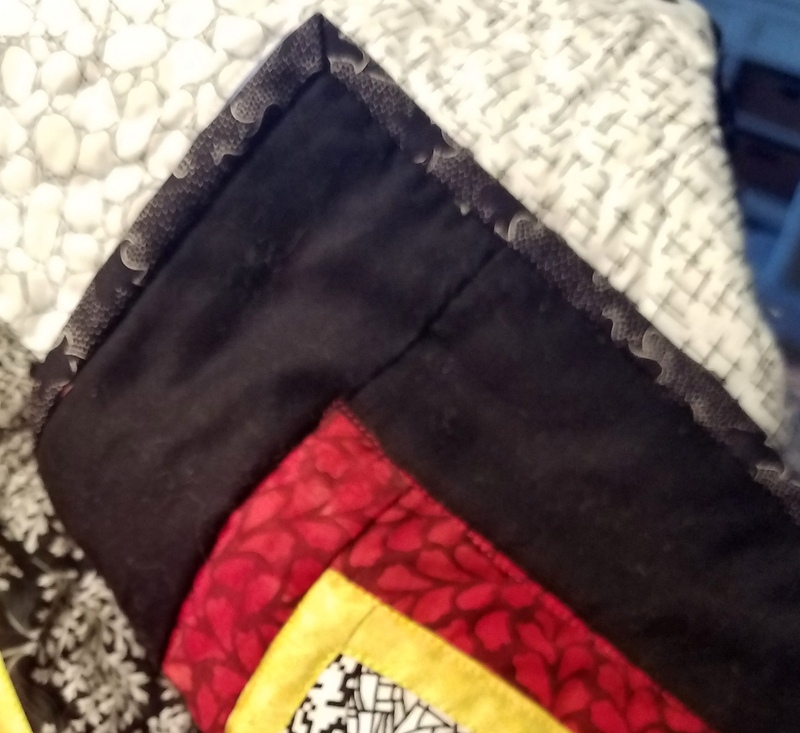 Quilt is just sitting on my lap so took a pic of the binding as I am sewing it on (with some help from various cats, I might add). Onward to doing the quilting on the four larger stack and whacks!! I finally got my Juki to act like it should. 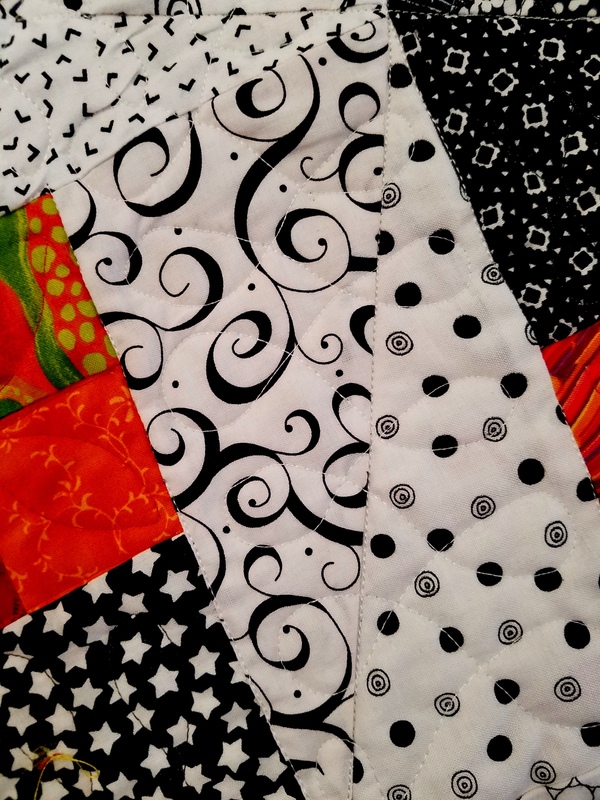 It used to make quite a bit of noise when free hand quilting. I adjusted the foot tension as low as it would go (instead of a little mark near the lowest which is what the booklet said) and noise disappeared! I had to change the needle as well which is always a pain for me. It sews so FAST though!! I have all sorts of tables set up to hold the quilts while I am working. My daughter got rid of a futon I had in my sewing room to give me some more space! Didn't take long to fill that up!! Oooo - I really like that mystery quilt! 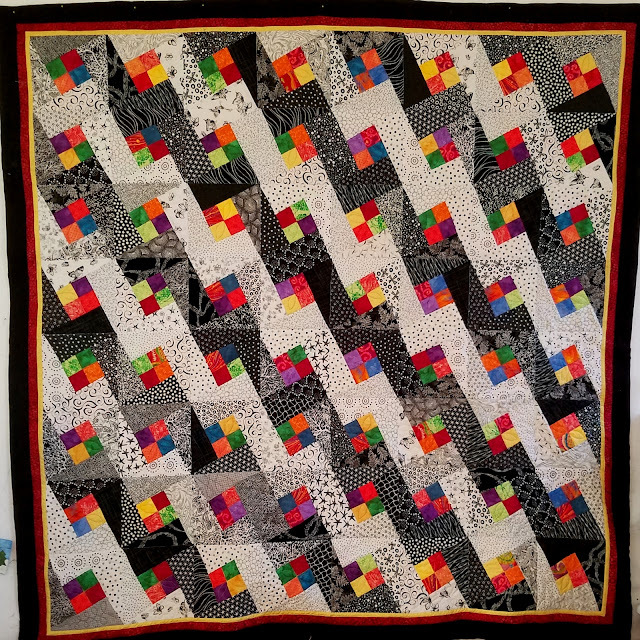 The blocks are pieced by sewing the half rectangle only half way on the first side (look at the picture of the single block). Then you go around sewing the half triangles. 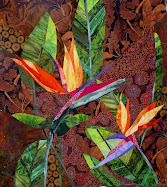 I used Electric Quilt to draft the pattern, a picture of which I had somewhere. I don't know if there is a real pattern anywhere. You could probably draft on graph paper and then figure out the size of the rectangles you need, once you decide on the size of the four patches in the middle. QBTS Mystery Quilt - Top is Almost Done!